Known for its rugged terrain, Australia has a long tradition of encouraging horsemanship and marksmanship. 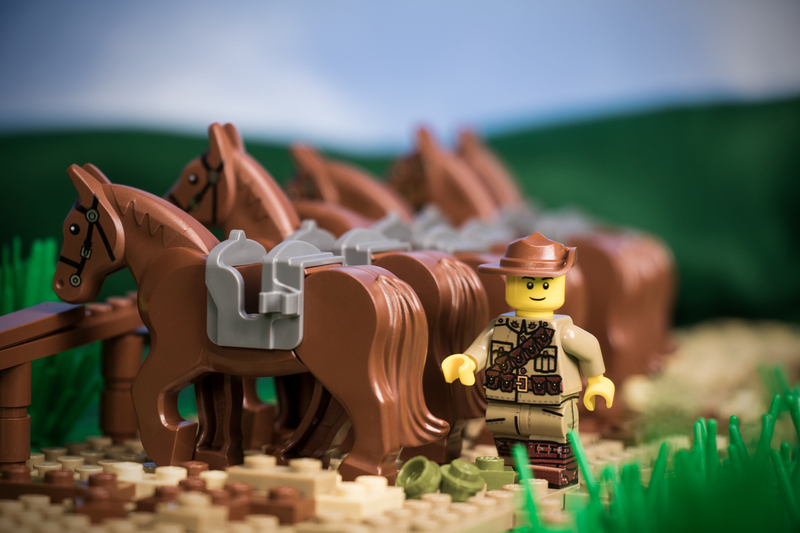 When the Great War broke out, Australia sent several light horse regiments to assist the Allies. Their mobility and crack rifle skills made them effective in open terrain, specifically in the Middle East against the Ottoman Turks. They would also provide excellent reconnaissance on the Western Front. The WWI Australian Light Horse Infantry has artwork based on the Service Dress Jacket, jodhpurs, 1903 Pattern Bandolier, 1907 Pattern Bayonet, leather boots, and leather leggings. This WWI Australian Light Horse Infantry features exclusive custom-printed artwork designed by Lando.